President Donald Trump delivers his State of the Union address to a joint session of Congress on Capitol Hill in Washington, as Vice President Mike Pence and Speaker of the House Nancy Pelosi, D-Calif., watch on Tuesday, Feb. 5, 2019. President Trump is delivering his State of the Union address, which the White House says will outline a "policy agenda both parties can rally behind." Yet the speech follows the longest shutdown in U.S. history, and the deadline to avoid another one is in less than two weeks. NPR reporters covering the White House, Congress, immigration, national security and more are annotating his remarks live, adding context and analysis. A Normal native who worked in the Clinton and George W. Bush administrations says while there have been many attempts to remove presidents from office, few have succeeded. 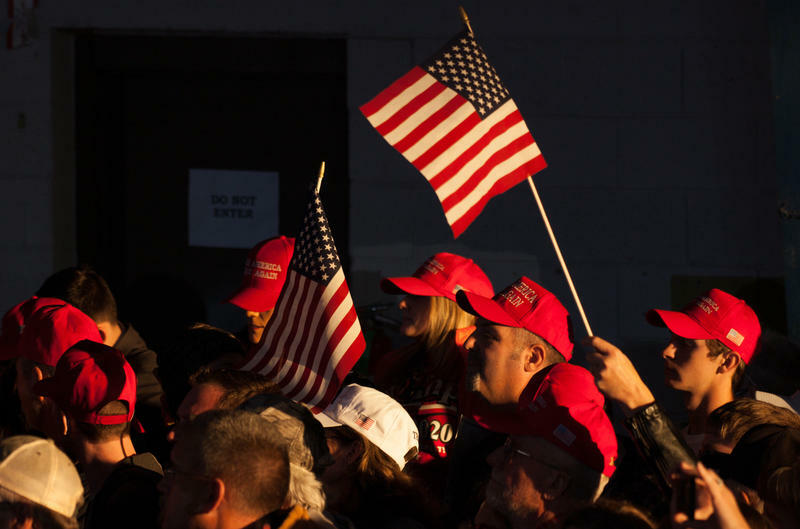 Thousands of residents traveled from across the heartland to southern Illinois Saturday to hear and see President Donald Trump. Trump rallied for incumbent Republican Congressman Mike Bost. Congressman Rodney Davis (R-Taylorville) and State Rep. Terri Bryant (R-Murphysboro) also spoke at the rally, endorsing the Republican Party for the midterm elections before Trump arrived. Trump began his speech by addressing the shooting in Pittsburg, Pennslyvania in a synagogue that left 11 people dead.